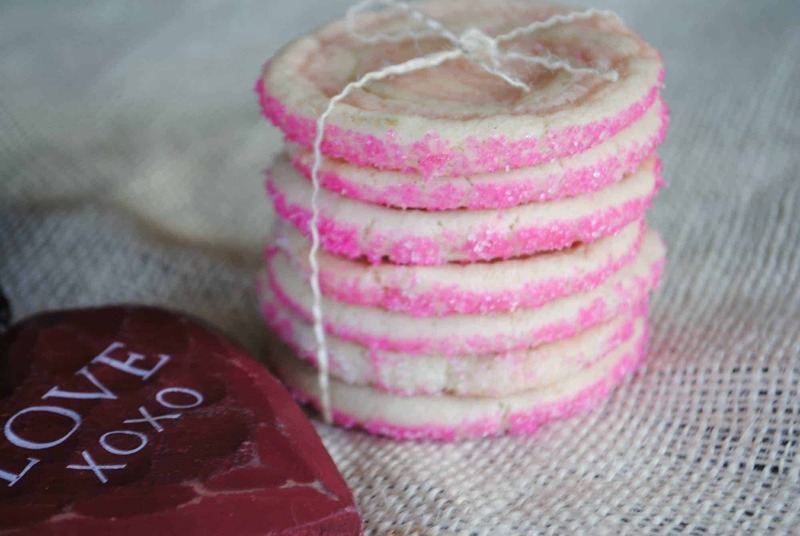 This recipe is just in time for Valentine’s Day. Yeah, I know we have a few weeks, but I wanted to squeak this in before Super Bowl Sunday too. Just in case you need ONE MORE snack on your table. And this snack is super easy. Yesterday, two of my friends, Sally and Nikki posted puppy chow. Coincidence that I was making this? I think not! Sally and Nikki both have several varieties on their site, be sure to check them out! 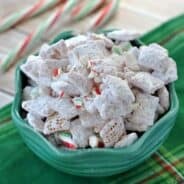 Puppy Chow is a treat I remember my mom making for us as kids! We wouldn’t wait for the chocolate center to cool, we would dig right in. And warm puppy chow is actually quite tasty. This cherry flavored treat is no exception. 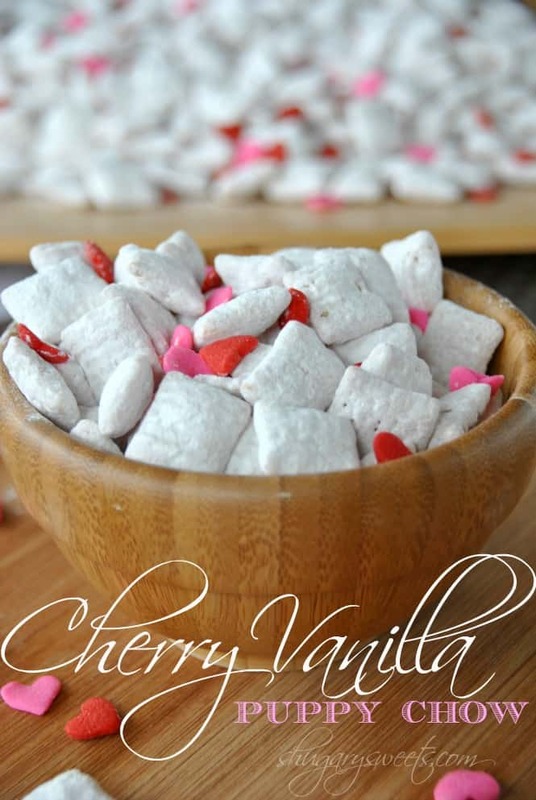 I used a small package of Sugar Free JELL-O Cherry gelatin mix to flavor my white candy coating. Once that was all melted and mixed I poured it over the cereal. Stir it up for a minute until everything is coated then pour it into a ziploc gallon sized bag with your powdered sugar. Shake it up. Then shake it up again (just to be sure). Pour it onto a foil lined baking sheet (for easy clean up) and add sprinkles. Serve in a big bowl! Gift it to your favorite Valentine! I love using Mason Jars for gift giving. But you can also use cellophane bags. Attach a cute tag and ribbon and you are ready to go! Love the Cherry Vanilla Combo? Then you will probably love this Cherry Vanilla Caramel Corn! 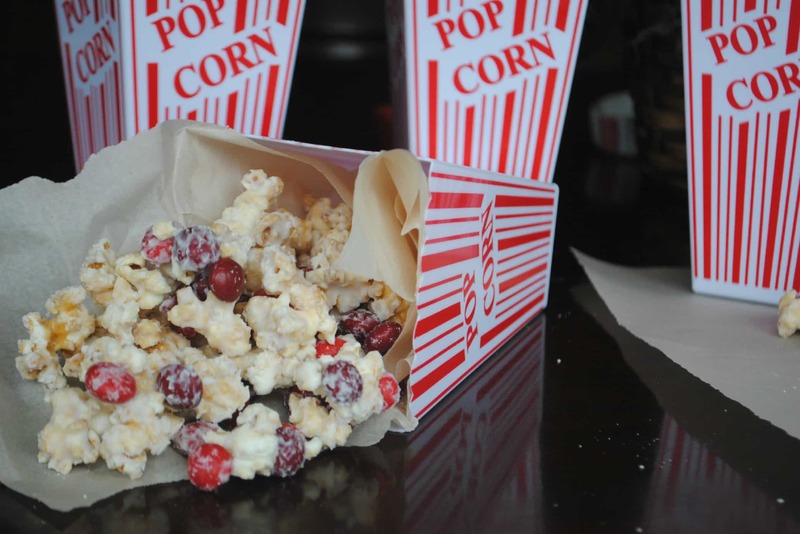 As if caramel corn isn’t a treat on it’s own, I covered this in white chocolate and added some Cherry m&m candies! 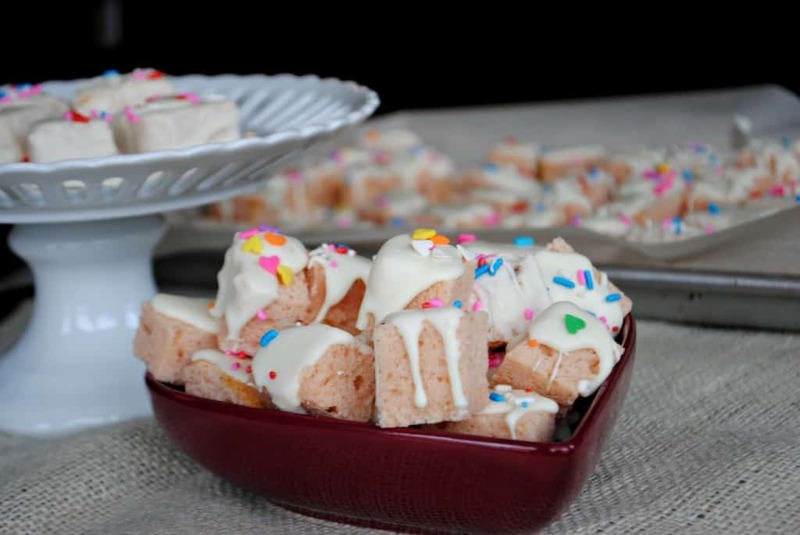 Cherry Pound Cake Bites: These were so incredibly delicious and gorgeous to serve! Plus they freeze REALLY well. 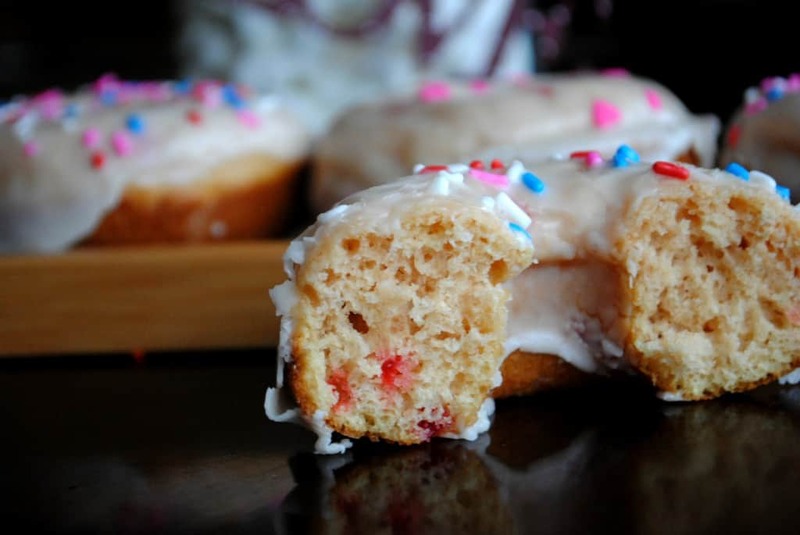 Baked Cherry Donuts with Vanilla Glaze: clearly I love this flavor…and these baked donuts are ready from start to finish in under 30 minutes! 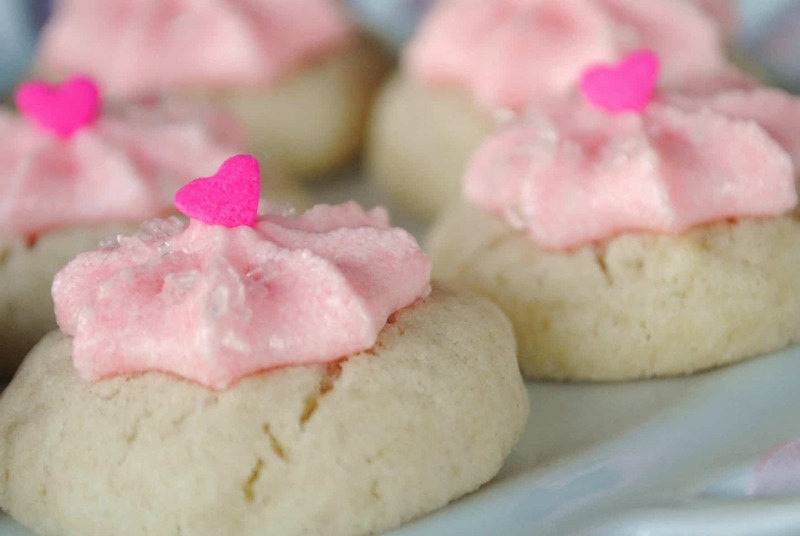 Ready for my favorite Valentine cookies? Vanilla Thumbprints with Cherry Buttercream. One cookie is never enough! 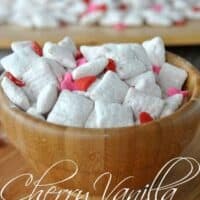 Vanilla Bean and Cherry Swirled Icebox Cookies: these are awesome to make and freeze ahead of time. When ready to eat, slice and bake fresh! In a microwave dish, melt vanilla bark for one minute. Stir, heat an additional 30 seconds until creamy. Mix in the cherry gelatin mix. In a large bowl mix together the cereal with melted chocolate. Stir until completely coated. Pour into a large gallon sized container with powdered sugar. Shake. Shake Shake. Pour onto a large baking sheet with foil, until set. Add sprinkles. Store in covered container up to two weeks. ENJOY! Stop it. This looks INSANELY good!! I am such a sucker for cherry vanilla flavored goodness, and puppy chow lasts approximately 8 seconds around me. Must. Eat. Now. I’ve eaten way too much of this today. Not cool, but quite delish. What a cute Valentine’s treat. 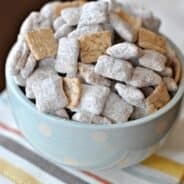 I only learned of puppy chow through Pinterest but it sounds like such a fun and quick treat, I just have to try it soon. oh Regina, you MUST try it soon. I make it and package it up in little containers for the kids lunches. After of course I’ve nibbled on it for 24hours!! It’s quite addictive. 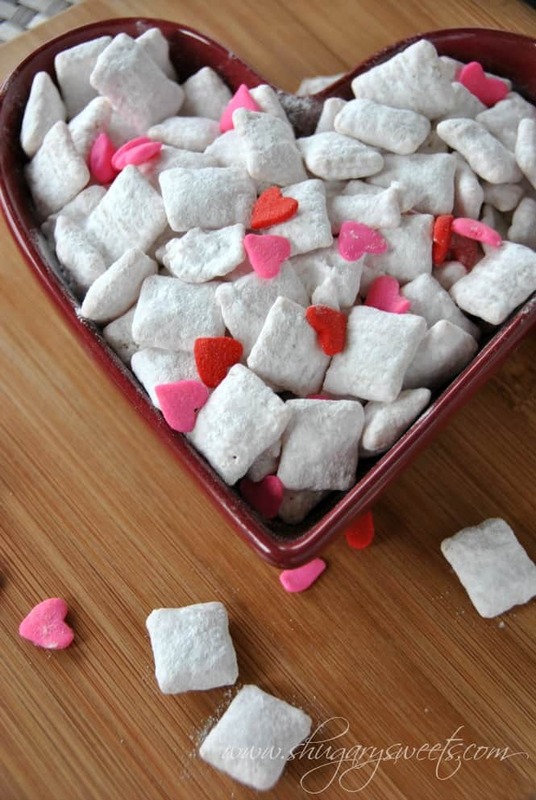 oh, puppy chow… you are my favorite. and even moreso when it’s pink!! love it! It’s so good, right??? Now, I need to put it away before I’ve eaten it all completely!! Ok, ok! All of the signs are saying I NEED to make some puppy chow, stat. Thanks for the nudge. 😉 Looks yummy! Don’t you love it when all the signs tell you to do something? Especially when it’s something as delicious as puppy chow? Yep, you can’t go wrong! Thank you Eva! It turned out very pretty, I’m quite happy with it! 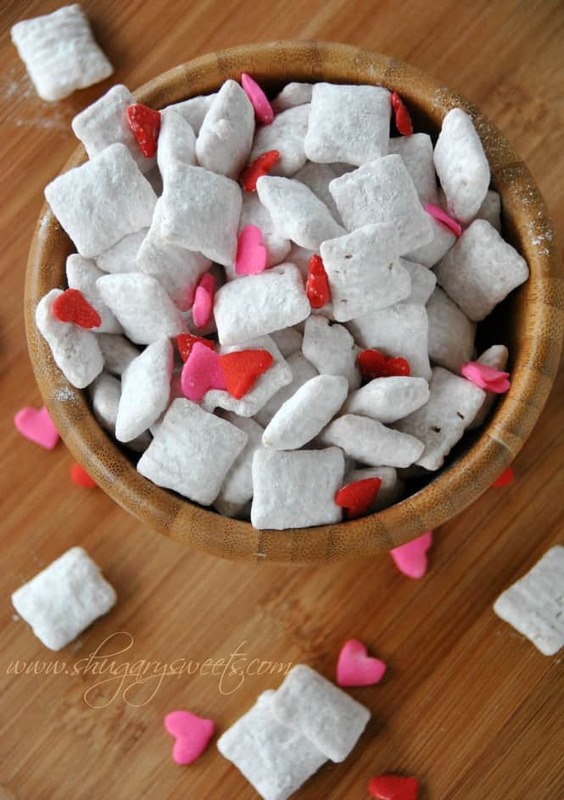 My boyfriend is obsessed with what he calls “white trash” which seems quite like this puppy chow, but with the addition of assorted nuts and pretzel pieces. The fruity flavor of your version sounds great! 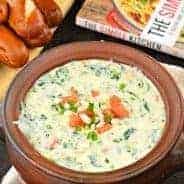 I have a couple “white trash” recipes on the blog too!! LOVE that stuff!! Adding the cherry gelatin gives it a subtle but delicious flavor! I love how you pimped this out for Vday! LOVE it! That’s me, the pimp! 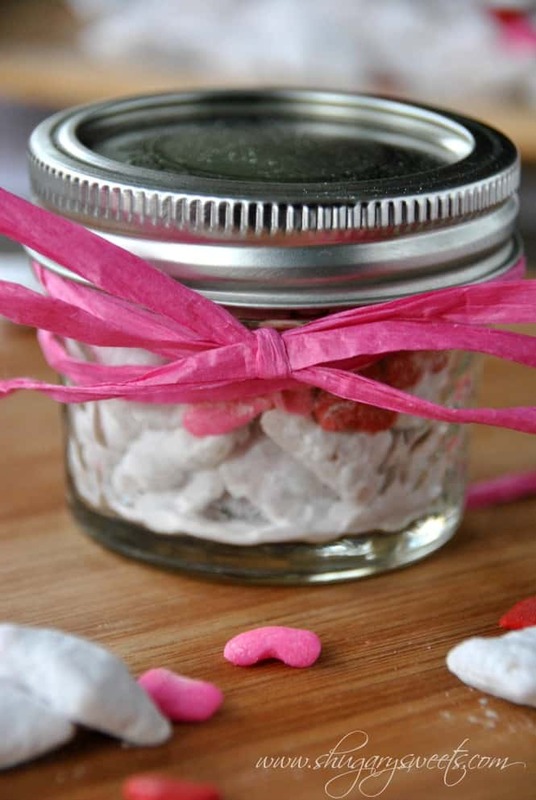 I love adding gelatin and pudding to treats to give them extra flavor! How much do I love the idea of using jell-o to flavor it? Oh the possibilities!! Thanks for the idea Aimee! I know! I’ve already got other flavors swirling in my brain. I may need to have “puppy chow week” on the blog! Soooo pretty and festive. 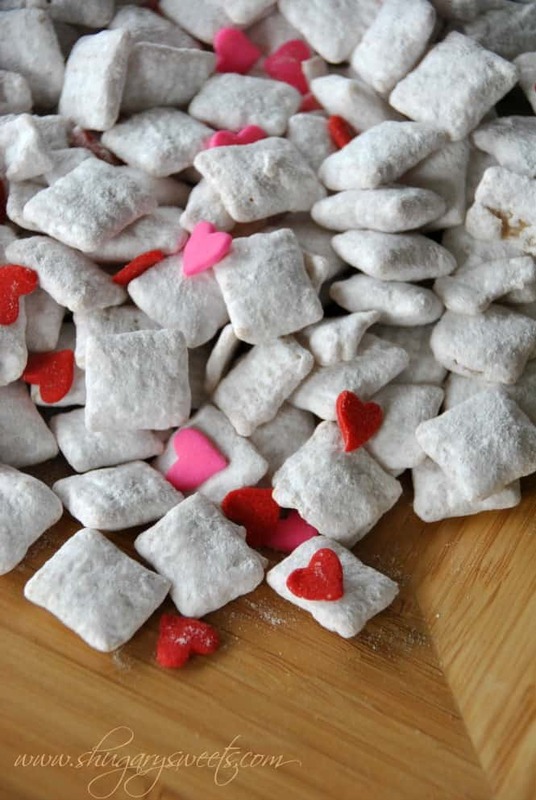 I keep seeing all of these puppy chow recipes and now I feel like I need to make (eat) some. Love this cherry-vanilla version! Just be sure when you make it you are ready to eat the entire batch. So addicting! Thanks Roxana, I love those big heart sprinkles! They make quite an impression! Heather! How can this be??? Get your ingredients together and get on it!!! I am always looking for new snacks to make, savory and sweet! Love this! So cute, and tasty I’m sure! You’re right, the gelatin is an cool alternative to the cake mix I used in mine. Love it! ohhh, this looks so addicting!! This puppy chow is fantastic, Aimee! I love that you used jello in your chocolate — so many possibilities! MUST MAKE NOW!!!!! 🙂 Aimee, thank you for linking to my puppy chows. 🙂 Needless to say – I am a puppy chow freak. and this version looks and sounds so good. flavored jello- why didn’t i think of that? you’re so creative girl! Is it wrong that I made another flavor today? Hahaha! Yours always look so delish! Wow, very creative use of Jell-O! 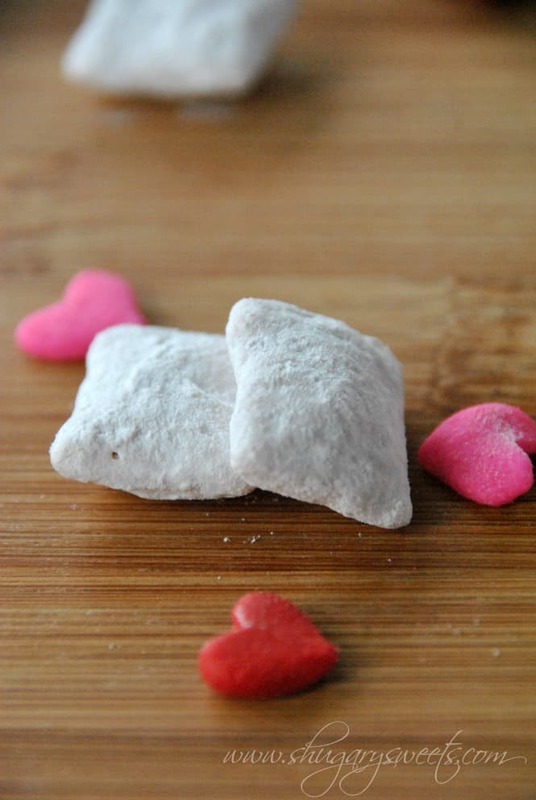 I am amazed at the endless combination possibilities of such a simple treat as Puppy Chow. This is super cute for Valentine’s Day. Thanks so much, I love adding in flavor but still keeping it simple with JELL-O! Ok – I can’t do sugar free jello – how would you change the recipe to make it with the regular stuff?? Think it would work? I’m looking at the box of raspberry jello in the cabinet now…. Hi Melissa, regular JELL-O would definitely work, but I don’t think I would use a whole package of it. Try adding in 1/3-1/2 the package to the melted chocolate and see the color. If it looks good go with it!!! Let me know how it turns out, raspberry sounds delicious! I just have to say I just made this…it isn’t even set yet and I CANNOT keep my hands out of it. SO GOOD! I did use regular Jell-O and didn’t need to adjust anything, it came out just right! When you used regular jello- what size box and did you use the whole thing? I haven’t used regular Jello, but I would probably only use a couple tablespoons. The whole box might be too much! I used a regular .3 oz. box and yes, I used the whole thing. If you only use a couple of table spoons I just don’t think the flavor would be there. Just wanted to let you know that I made this tonight, but substituted strawberry instead of cherry, and it’s soooooo yummy! We are taking it to the drive in with us tomorrow and I am so excited to share it with my sister, the baking addict in the family. She will love it! Can’t wait to try this for my son with food allergies. I just need to double check the ingredients on the candy coating. Could I substitute the Vanilla Chex for the Rice Chex if I’m unable to find a safe candy coating? The Vanilla Chex are really good and I’ve been thinking they could be used in a type of puppy chow or snack mix for him (and me). Yep, it’s one of the things I love to do, make fun versions out of classic recipes 🙂 ENJOY. I loved as much as you’ll obtain carried out proper here. The comic strip is attractive, your authored subject matter stylish. however, you command get got an impatience over that you would like be delivering the following. ill surely come further beforehand again as exactly the same just about a lot often inside case you defend this increase.